Can you read an Italian Label? Wine Name This is never next to the classification and often indicates that the wine is a blend of grapes (Super Tuscan for example). Producer Name Italian wineries will often use words like Tenuta, Azienda, Castello or Cascina in their name. First things first, whenever a grape variety is mentioned, usually it’s named in association with a region. So, in the instance of Barbera d’Alba, this is probably a grape variety because it’s ‘Barbera’ ‘of Alba’. There are a few instances such as ‘Vino Nobile di Montepulciano’ where ‘Vino Nobile’ is a synonym of Sangiovese. However, most of the time, if you see a di or a d’ it is probably a grape. There are over 350 official grape varieties in Italy, so don’t beat yourself up if you haven’t heard of them all. If the region is listed on the label, you will always see a classification after the regions name. So for instance, a bottle named by region/sub-region will say Chianti with the words “Denominazione di Origine Controllata e Garantita” right next to it. This means, the wine is relying on the classification to tell you what’s inside. So, for instance, Chianti must have a minimum of 80% Sangiovese. As the regional names cover larger areas, the classifications become less strict and the wines are usually a blend of the most popular grapes from the region. You can always tell if it’s a named wine by where the location of the name is on the label. The name is never next to the wine classification. Just so you know, the most common classification on named wines is IGT. This means that producers can use both Italian and non-Italian origin grapes in their wine (like Merlot). Some named wines have an additional regional name on the label (which would be located right next to the classification level). This will mean it falls under the requirements of that regional name and, in some cases, is a blend of that region’s most planted grapes. Tenuta It is Landholding or property. Usually associated with the vineyard location or wine estate. Castello means Castle, in the sense we say Estate. Superiore Usually associated with a regional name and indicates a high-quality designation usually with a slight bump in minimum alcohol level (with higher quality grapes). Classico A classic zone within a particular region. This doesn’t mean the wine is better, just that it’s from a ‘classic’ wine growing area. Riserva A wine that’s been aged for longer than the normal version of the same denomination. Aging varies from denomination to denomination, but generally, it’s about a year longer. Italy is the country with the highest bio-diversity in the world, due to its unique and peculiar environment, geology, climate and location. Its wine grapes do not fall short of this very fact. Over 1,300 native varietals are found in Italy alone. In the vast realm of wine varietals, there is a set of grapes, both white and red, that are largely considered by the trade as being “noble”. What exactly is a “noble varietal”? A grape variety with the intrinsic capability of producing wines that are complex, deeply flavored, intense, structured, with great aging potentials over other varietals and the capability to seduce and attract wine lovers worldwide. Syrah, Cabernet Sauvignon, Merlot, Tempranillo, Pinot Noir, Aglianico, Sangiovese, Chardonnay, Sauvignon Blanc, Vermentino are just a handful that fit this category. Nebbiolo...is often said to lead it. Nebbiolo has a set of characteristics given to it by Mother Nature that makes it a perfect candidate for great red wines. These characteristics include a thick skin, late ripening, a sensitive predisposition to terroir (environment) and a richness of elements. Although poor in color, which is found in the skin of grapes, the thick skin of Nebbiolo allows this varietal to pack its wines with the other substance we extract from the skins of grapes...TANNIN...and tannin is indeed a driving force behind Nebbiolo based wines. These tannins provide power, structure and protection against the perils of time, allowing the wines to age for long amounts of time, decades, as well as pack a serious punch in the palate and stand up to demanding food. 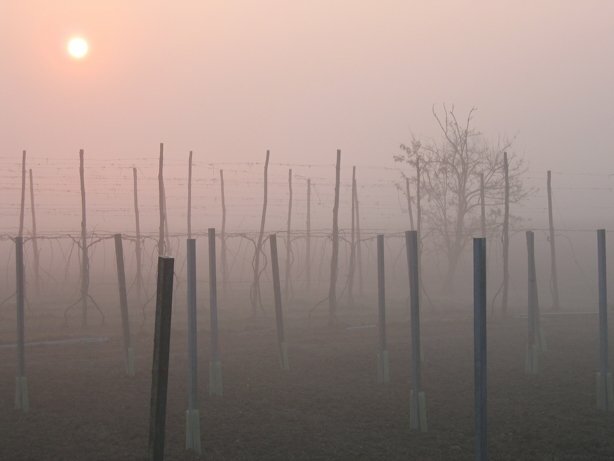 This varietal’s name derives from the Italian word “nebbia”, which means “fog”, due to the fact it is often harvested late in the season, when the first fogs of fall roll into its native region. Often harvested in October and at times November, this very long growing period is the main factor that allows this grape to absorb the stimuli of nature and develop complex flavors, aromas and taste. Nebbiolo are never “simple or shallow wines”. From rhubarb to violets, tar, earth and bright maraschino cherries & tangerine, notes of cola, tea leaf and licorice are just a mere few of the aromatics given to us by this king of noble grapes. Nebbiolo, similar to Pinot Noir, has a heightened sensitivity to the micro changes and variations in the environment. The same grape planted in two adjacent hills, or on one side of the road to the other, can give very different results. This creates a mosaic of endless possibilities for flavor and makes Nebbiolo a prime candidate for the expression of the different personalities nature can possess. Never boring or predictable, with Nebbiolo you are always in for some degree of positive surprise. 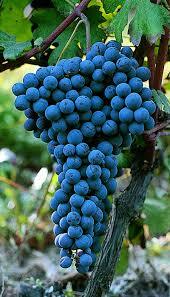 Nebbiolo grape is famous for unadaptability to being planted in environments that it does not perceive as “familiar”. Plenty of attempts have been made to replant Nebbiolo in North America, Asia and other parts of Europe...with often poor results. Proven by etymological research, historical accounts, DNA analysis and archeological research, the region of Piemonte is the headquarters and epicenter of this king of grapes. Specifically, 3 wine appellations can be highlighted as producing what are largely considered to be the best expressions of this varietal : Barolo, Barbaresco & Roero. Barolo definition depends on its various villages, but also vineyards which have been given ‘cru’ status as mentioned. 1.With the term “cru” or “single vineyard” we are referring to a specific, delineated, small patch of land that has been identified as having peculiar charatceristics for the production of grapes for wine and that bears the traditional name. 2. 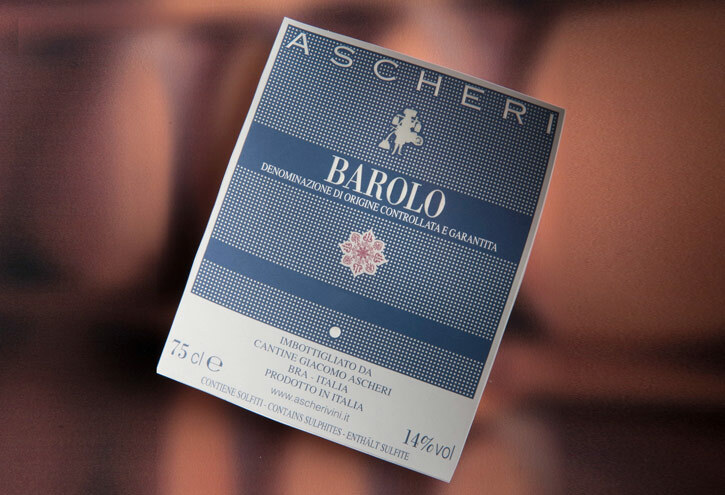 If a Barolo DOCG is made from 2 or more single vineyards it cannot carry a “cru” name on the label and is relegated to straight forward “Barolo”. BARBARESCO DOCG is the 2nd most famous and celebrated wine appellation made 100% from the Nebbiolo varietal. If Barolo is the “King”, Barbaresco can be seen as the “Queen.” Also made from compulsory 100% Nebbiolo, it shares with Barolo the cult status as one of the finest wines in the world. This aristocratic red was awarded its DOCG classification in 1980. Its vineyards are situated in the Langhe, on the right hand side of the Tanaro River and extending in the area northeast of Alba. Barbaresco has a lot of similarities with its neighbor Barolo, but the majorly Tortonian (sandier) soils help fashion distinctly different wines. Generally less tannic, Barbaresco tends to be more elegant and approachable in its youth. The Barbaresco DOCG regulation stipulates wines have minimum alcohol content of 12.5% and 26 months minimum aging of which 18 must be spent in wood. 50 months minimum for the Riserva labels. Being an even smaller zone then Barolo, producers in the region produce little more than 200,000 cases annually. The soils in the Barbaresco zone are more uniform across the region which tends to produce a more consistent profile with the wines then can be achieved across the widely different areas of Barolo. This does not mean that there are no CRUs in Barbaresco, but rather that the differences are felt at a lower impact. Grown on younger, sandier soils with less clay (Tortonian), these wines result in a more ‘feminine’ and lighter character than its masculine counterparts of Barolo, requiring less age and maturation for optimum enjoyment. 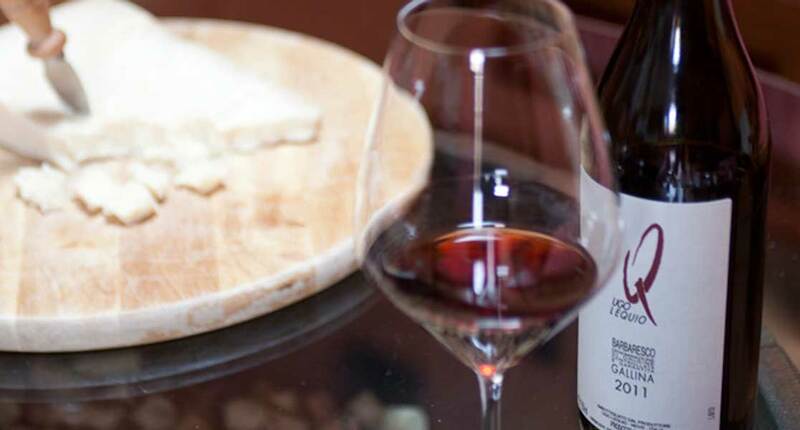 Barbaresco is characterized by its rich, spicy flavors and perfumed sweetness and is generally considered more elegant and refined than its counterpart, which is a more robust and longer-lived red. Thirdly, we find the ROERO DOCG appellation. Across the river Tanaro from both the Barolo and Barbaresco appellations the area of Roero has been an up & coming focus for the production of great quality Nebbiolo wines. Far more famous for the whites produced here from the Arneis grape variety, the reds have had little attention so far but revel immense potential to become celebrated reds. Roero is a hilly area situated in the north easternmost part of the province of Cuneo, on the other side of the Tanaro river from Barolo and Barbaresco. It owes its name to an ancient feudal family that ruled the district. The limestone rich and ocean sediment soils of the Roero hills yield an intense and elegant red wine that differs from most great Piedmontese wines in that it quickly attains good balance, while the others require aging. Moreover, it possesses a minerality the other wines in the Langhe lack. Indeed, this minerality in the terroir makes it far more suitable for white wines than the area across the river where we find the famous reds. The main characterizing factor of this appellation is the higher concentrations of ‘limestone’ and the presence of ‘marine sediments’. This adds a mineral character to the wines not found on the other side of the river and indeed provides the best expressions of the white Arneis, somewhat more bland in the Southern bank. 3 wines that are considered amongst the most peculiar, qualitative and “noble” in the world and all driven by the intrinsic peculiarities of perhaps the most noble grape on Earth, called “prunus spinosa” (the wild prune) by the ancient Roman author and naturalist, Pliny the elder, with an origin as mysterious and intruiging as the very wines it produces...a grape that he himself wrote, “feeds on fog”. One Thousand and one Bubbles... or rather what makes a great sparkling wine? Our case study takes us now to Italy, where we find one of the most respected and revered sparkling wines of the world. Often compared and strictly related to France’s historical Champagne, Franciacorta, can frankly claim Italy’s highest level of wine classification and regulation, it was awarded DOCG (Denomination of Controlled & Guaranteed Origin) and follows very rigorous production steps, quality standards, and strict organoleptic profile requirements. This classification, given only to the 74 most representative and historically significant wines of Italy, is handed down by the Italian government as a specific and enforced production charter. 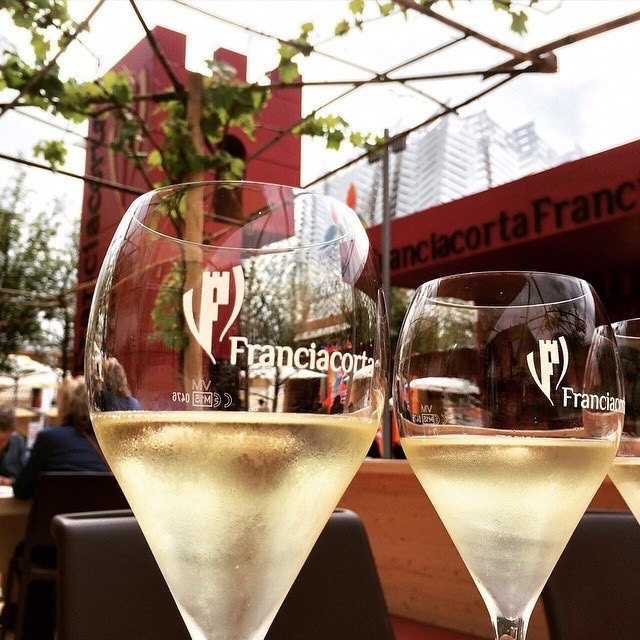 Franciacorta exploded onto the market in the 1960’s and is produced exactly in the same way Champagne is, with the same grape varieties, namely Pinot Noir, Chardonnay and a touch of Pinot Bianco. The secret to Franciacorta excellence as the Italian Champagne rests in the peculiarity of the soil where the vineyards lay. A complex and fabulous composite soil of mixed rocks and minerals created by the advancing glaciers during the last ice age of the Earth. Down from the Alps that are right above this area, a massive conglomeration of debris, rocks, and chunks of mountains were bulldozed down into the hills of this district, located in the upper half of the Italian region of Lombardia, produced in the province of Brescia the second large city after Milan, its capital. This strip of land, mostly hilly, located between Lake Iseo and the morenic amphitheater offers a particular microclimate that imparts the wines with their characteristic aromas. The wines showcase a fabulous mineral complexity and thanks to the extended average maturation time that all Franciacorta wines undergo to, a splendid yeasty complexity and smoothness. They are the epitome of elegance and balance. Beautifully crafted and spectacularly food friendly. From the ‘Satèn’ style, produced only with Chardonnay grapes and with a creamier, soft character than the regular label made with Chardonnay and Pinot Noir in a classical “Champagne style” and finishing with the Rosé version that becomes distinctively versatile in food pairings, more structured and full-bodied. All in all, Franciacorta encompasses and highlights the best bubbles that Italy has to offer, in stark contrast with the more light bodied, easy drinking and price friendly Prosecco made with the “Charmat/Tank” method that despite all its approachability, will never achieve the levels of complexity, structure, elegance and depth, nor will it ever reward cellaring, as much as Italy’s first and foremost “classical method” bubbly.